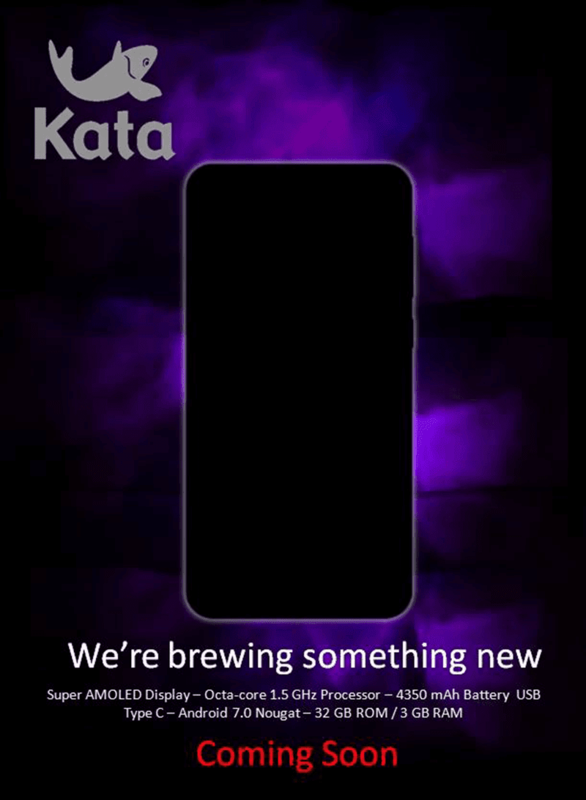 According to their latest Facebook teasers, Kata will soon reveal their flagship handset. It's a device with great screen, big battery capacity, and latest OS. In particular, the said device will be equipped with a Super AMOLED screen with 2.5D curved glass, 1.5 GHz 64 bit octa core processor, 3 GB RAM, and 32 GB expandable storage. It'll highlight a whopping 4,350 mAh of battery capacity that's rechargeable via USB Type C port. It also means that this handset will support OTG connectivity. Also, this will be the very first Kata smartphone to boot with Android's newest flavor, Nougat 7.0 OS. Personally, we already saw the prototype of this promising device. It is metal clad, will have a fingerprint scanner behind, and decent back and front cameras. Let's just just hope that the price is right!